Alliance Transport Technologies provides after-sales support to the bus and coach industry. Offering parts, field service diagnostic repairs, contract maintenance and dealer support. Baumot UK are leading suppliers in exhaust gas after treatment products and engine development. We offer an extensive range of exhaust after treatment systems at OEM quality standards for retrofit to buses, coaches, taxi's and off road vehicles. Based in the North West Bus Electrical offer short and long term auto electrical support for the bus industry. We offer diagnostics, repairs, conversions and CCTV repairs. We also help with shift / holiday cover, project work and technology roll outs. Situated in Bellshill, BusTec is a family run accident repair centre that specialises in body repairs and painting of coaches and buses. Working from a centre that is equipped with the latest technology including computerised digital estimating / imaging system means any claims made through BusTec receive a rapid response. Ferrymill Motors has over 30 years’ experience of providing professional bus and coach damage repairs. With a personalised service and a well equipped facility based in Glasgow, they are able to carry out all repair work including large vehicles and major accident repairs. 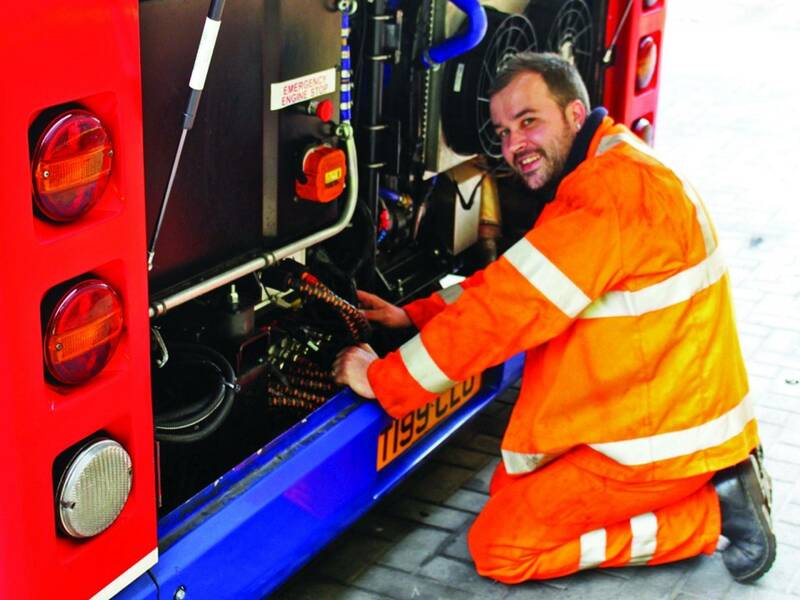 Fleet Resourcing are suppliers of engine bay fire suppressive systems and electronic products specific to Bus and Coach sector. Fire & Safety Solutions Ltd (FASS) is an independent company specialising in the supply and service of fire safety equipment and support services including automated fire suppression systems for bus and coach. Fogmaker is a global leader in the supply of engine bay fire suppression systems with over 75,000 installations. In the UK and Ireland we have over 10,000 installations and provide a service and support network to match. Fogmaker high pressure water mist is very efficient for extinguishing fires in multiple areas. The water mist gives an immediate choking and quickly cooling effect. Unique for the water mist is the fact that it fills the entire fire-protected area and access fire beds outside the direct spreading area of the nozzles. Formed in 1997, J.Lewis Auto Electrical carries out all types of electrical repair and diagnostics of bus and coach systems. With a team of auto electrical technicians who continually attend training courses to ensure sure that they are at the forefront of constant changes to vehicle electrical and control systems. Jactone manufacture fire safety products including the PAFSS suppression system. They also provide a number internal and external signage solutions. Assisting operators to protect reputations and commitments to their customers in a breakdown situation with coverage in UK and Europe. Reciprocal business plays a major part in our support package, with roadside repairs, replacement coaches which NCA guarantees payment to the coach provider. Family run Solent Commercials provides a comprehensive coach and commercial vehicle repairs service along with roadside assistance and general maintenance. Solent Commercials is also proud to be a part of the Mercedes OmniPlus bus & coach team, as a dealer for repair, maintenance, recalls and breakdowns. UNVI Bus and Coach is a manufacturer of passenger transport vehicles (buses, coaches, Midis, minibuses, wheelchair accessible vehicles, VIP vehicles) and special vehicles (library buses, clinics, mobile offices, etc). From its foundation in 1995, UNVI Bus and Coach has been guided by the spirit of maximum customer satisfaction, relying on a team with a wide knowledge of the sector and a production process based on the concept of total quality. V L Test Systems Ltd (VLT) offer quality solutions to vehicle testing including design and installation of complete DVSA test lanes or a single piece of equipment with 24 hour back up service.